Bristolatino’s Film Editor Joel Dwek chooses his favourite offerings from this year’s Latin American film releases, as well as some of those to look out for in 2018. 2017 has been a year of many great films, from both Hollywood and around the globe, with many strong efforts from seasoned directors like Christopher Nolan and Denis Villeneuve, who made Dunkirk and Blade Runner 2049 respectively, as well as first timers Greta Gerwig and Jordan Peele, directing the surprise critical hits of the year Lady Bird (Gerwig) and Get Out (Peele). The same is true of the Latin American film scene, where famed directors such as Lucrecia Martel and Alejandro Jodorowsky have released films alongside relative newcomers such as Kleber Mendonça Filho, all of whom have received similar levels of critical acclaim in their native countries and around the world for their recent films, and thus Latin American cinema is quite possibly in the strongest position it has been in for many years. Here is a round up of some of the best cinematic offerings from Latin America that were released in the UK in 2017, presented in no particular order. This year saw the return of the Chilean auteur and king of the cult movie Alejandro Jodorowsky to the big screen, this time with a follow up to his 2013 film La danza de la realidad (The Dance of Reality), both of which are semi-autobiographical retellings of his early life in Chile. This film may not be for everyone – Jodorowsky’s style can only be described as anarchic, surreal, and occasionally incomprehensible – but this film is Jodorowsky at his most accessible and heartfelt, and therefore most enjoyable. At its heart it is a coming of age story about the director (played by his real life son Adan Jodorowsky) falling in love with poetry and the arts and breaking free from his unpleasant home life, all the while recalling shades of Fellini’s Amarcord in its extravagance. It is a visual treat from a uniquely bizarre and singular cinematic mind. A new film from the up-and-coming Chilean director Pablo Larraín is always good news, and he didn’t disappoint with Neruda, which focuses on the period of the celebrated poet’s life where an arrest warrant was placed on his head for his Communist sympathies. 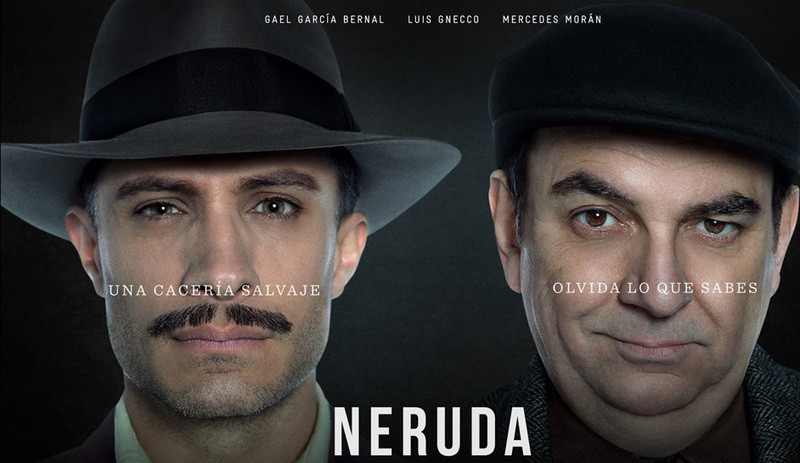 A game of cat and mouse ensues as we follow Neruda’s attempts at provoking the authorities, whilst the policeman Peluchonneau (played by Gael García Bernal), a humourless foil to Neruda, seeks to bring him to justice. Although a serious and arty film in many ways, Larraín still manages to keep a light touch, with certain moments appearing to pay homage to Spielberg’s overlooked gem Catch Me If You Can. It is an interesting and engaging piece that both pays tribute to and criticises Neruda, offering a nuanced view of the poet. Hugely controversial in its native Brazil for alleged political overtones, Aquarius tells the story of a retired music critic, who lives in an old apartment building in Recife and refuses to sell her flat to some property developers, who have bought out everyone else in the block. They then resort to intimidation tactics to try and get her to sell. The director uses the film’s long running time to build up a character study of its main character, Clara (brilliantly played by Sônia Braga) and her relationships with her family, friends and the flat she refuses to sell. The critique of Brazilian society is therefore told through allegory, allowing it to be read on a number of levels, not just a political one. That said, regardless of one’s knowledge of Brazilian politics, at its heart it is a brilliantly told tale of one woman’s struggle against the system. This documentary is a very powerful and eye-opening experience, as it documents the experiences of indigenous Mayan communities in Guatemala, including periods of oppression, theft and destruction of native lands by mining companies, even genocide. This film portrays their grassroots struggle for justice in modern day Guatemala, with the title referring to the Mayan people having ‘woken up’ after a 500 years darkness to protest against their oppression and create an equal Guatemala. Following the life of celebrated Brazilian cartoonist and artist Laerte after her gender transition, having lived for nearly 60 years as a man, this documentary takes the form of a long interview with its subject. They discuss issues such as politics and culture, gender identity and acceptance of LGBT people, his relationship with his family. Throughout the film, the director shows animated versions of Laerte’s wry cartoons, which add a witty insight to the mind of his subject. This, along with Laerte’s own engaging personality and humour prevents the documentary from becoming too maudlin or sentimental. Shot using a stylish and sleek black and white cinematography, Verónica has the airs of an art house movie, but has the set up and plot of a pulpy psychological thriller, in which a retired therapist takes on a patient whose previous therapist has disappeared in mysterious circumstances. The mix creates a highly intriguing film in which there are only two actors (Olga Segura and Arcelia Ramírez) in an enclosed setting (the country house of the therapist) where the actors have to work off each other, having cryptic conversations in increasingly tense situations. Adhering to the tropes of the genre, it is a thriller with Hitchcockian overtones. 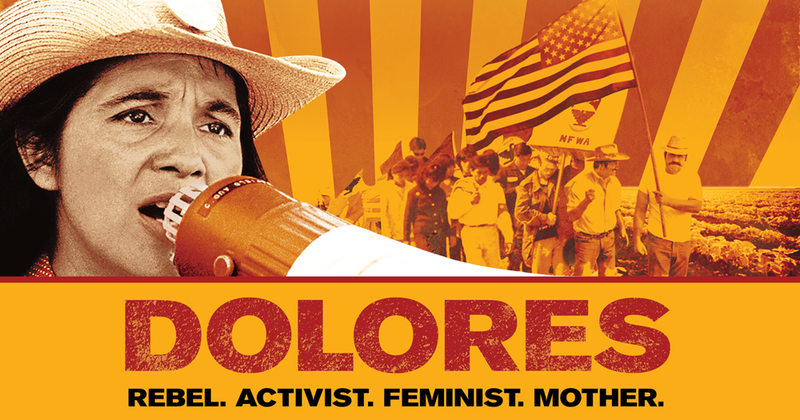 Though not strictly speaking a Latin American film, this documentary about the labour rights activist Dolores Huerta was released in the UK this year, and has had a big impact in the United States. Huerta, along with the better-known César Chávez led a civil rights group that aimed to improve the lives of Hispanic immigrant workers in the USA. This documentary both sheds light on Huerta and her enormous achievements (including being the first to use the phrase ‘sí, se puede’, or ‘yes we can’, later made famous by Barack Obama in his presidential campaign), and to the fact that women’s roles in historical events are often overshadowed. Zama: This new film by acclaimed Argentine director Lucrecia Martel is a period piece set in a remote South American colony of the Spanish Empire, and has already been nominated for many prestigious prizes, including the Goya for Best Film. It has been shown at the London Film Festival this year (explaining why it is on Sight & Sound’s best of the year list) but is likely to be put on general release in the UK in 2018. Señorita María, la falda de la montaña (Miss María, Skirting the Mountain): This thought-provoking documentary explores the life of a transgender woman living in a small, socially-conservative rural Colombian town. Una mujer fantástica (A Fantastic Woman): This Chilean drama film by Sebastián Leilo about a woman’s reaction to the sudden death of her partner won the Best Screenplay Award at the Berlin Film Festival and has made the December shortlist for the Oscar for Best Foreign Language Film, and has been nominated for the corresponding Golden Globe award.